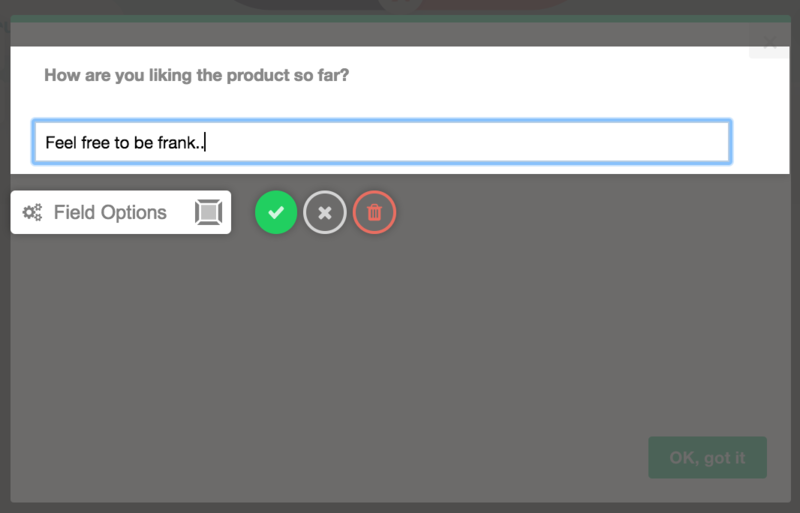 You can collect user feedback or other information by creating in-app forms and surveys. 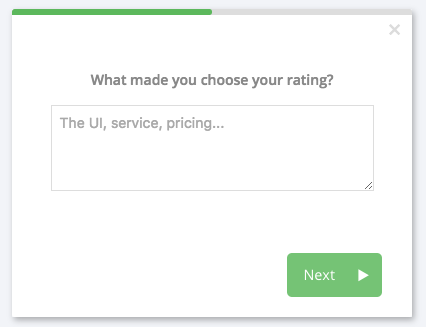 Appcues' form builder offers four form patterns for your users to respond to prompts with: a short text field, a large text field, multiple choice, or an NPS® rating system. 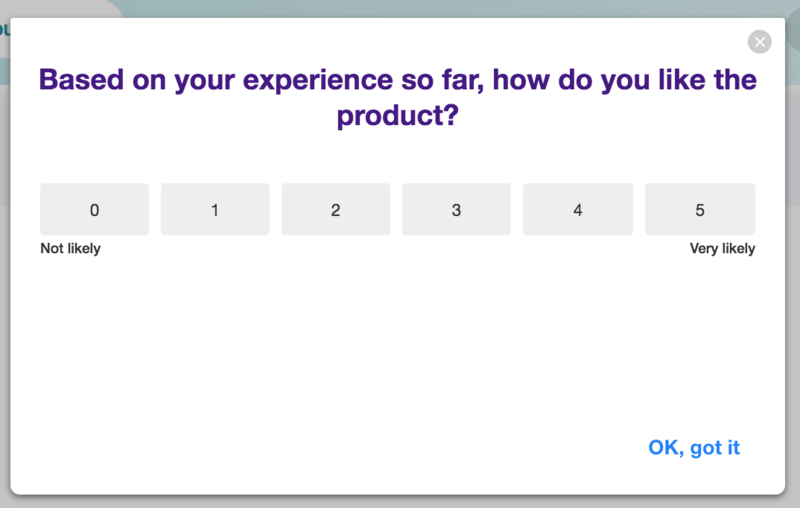 You can combine the above patterns to ask users for multiple responses, and if you are looking for a more complex survey we highly recommend using an external form service (like Typeform) and embedding it into a feedback slideout or modal. Learn how to do that here. 1. 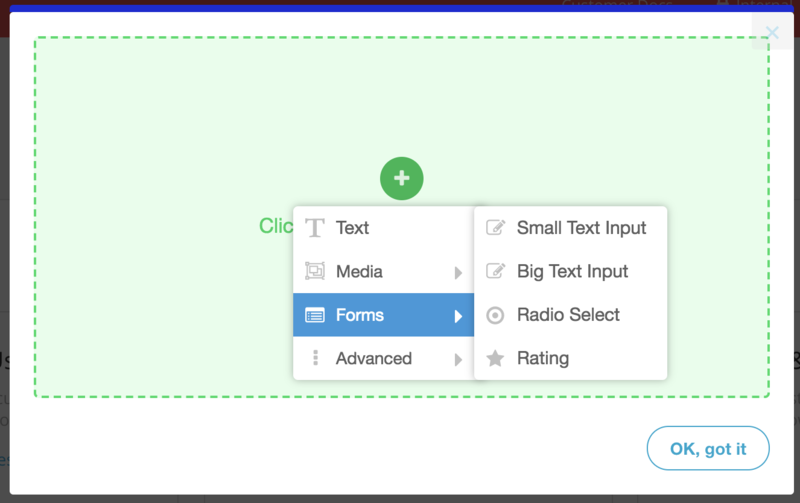 To find your form options, first create a slideout or modal. The small and big 'text input' options allow you to ask questions or provide prompts to be answered with qualitative feedback. 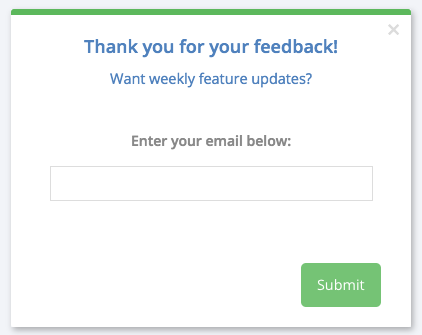 This type of form is what you might expect to see when being asked to provide general feedback or comments, or as a follow up to an NPS® response. 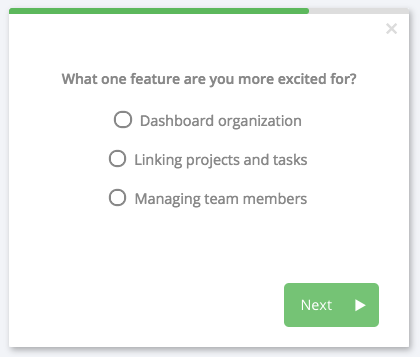 The 'Radio Select' option allows you to give your guests choices to select (respondents can only select one option out of the form). Either of the 'Text input' options will allow you to create questions/prompts that need to be populated with a certain type of data. This comes most in handy when asking for an email or phone number that needs to be in a certain format. 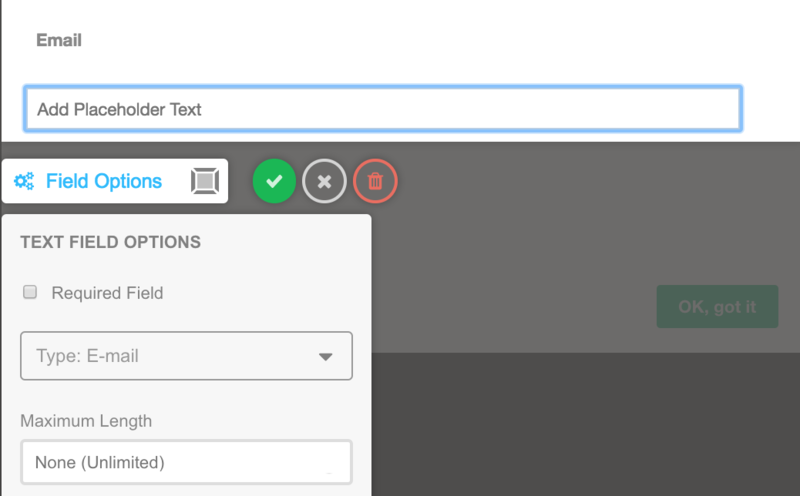 When setting up the field, select the 'Field Options' and then choose what format the data needs to be in from the dropdown. You can view responses on a user basis by exporting a CSV from the analytics page in your dashboard to Google Sheets, Excel or similar, or through an integration you've enabled.